Another Shale Play in Pennsylvania? Count On It. The Upper Devonian Shale formation made headlines this week in Southwest Pennsylvania after CONSOL Energy developed its first Upper Devonian natural gas well. Other operators in the area, including Range Resources, have also begun to see the potential of this formation. A portion of this formation lies in Southwestern Pennsylvania above the prolific Marcellus Shale. At 6,000 to 6,500 feet below the surface, this shale formation lies well below the water table and at a perfect depth to utilize horizontal drilling in combination with hydraulic fracturing. The Upper Devonian may just be starting to make headlines in 2013, but it made its debut in 2009 when Range Resources developed its first horizontal Upper Devonian well, the Yeager Well. 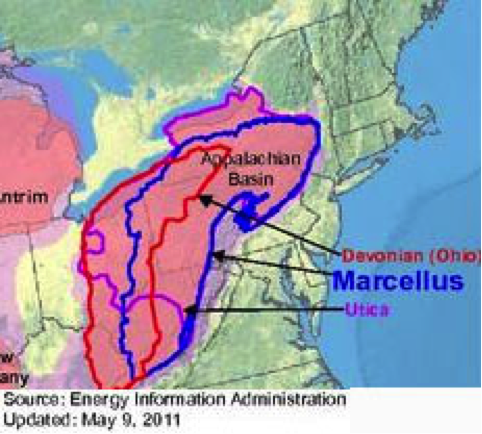 The Upper Devonian is currently home to 20 producing wells, four of which have been developed by Range Resources. Current production numbers of this shale play look very promising. 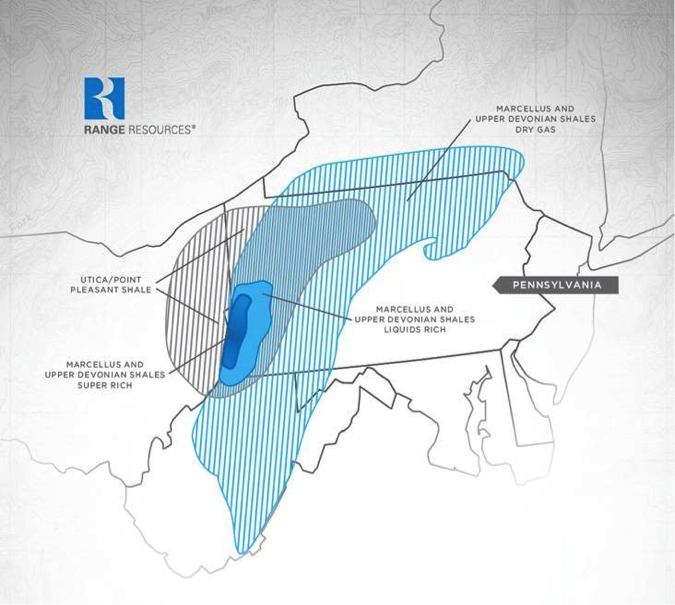 In a 24-hour test rate, Range’s latest well produced 10 Mmcfe/d (Million Cubic Feet Equivalent per Day). This was composed of 4.0 Mmcf/d gas (Million Cubic Feet per Day), 172 barrels of condensate (or natural gasoline, based on crude oil pricing), and 826 barrels of natural gas liquids. This is huge for landowners living above the Upper Devonian. As operators continue to develop these plays, landowners and local municipalities will continue to benefit economically. The most important thing to remember as the Upper Devonian goes into production is the ability of operators to use existing infrastructure (such as pipelines and processing plants) to reduce overall costs. Also, because of the technological advancements that allow for shale development, all three of the plays can be reached from one well pad – dramatically decreasing the amount of surface disturbance. It’s clear there are vast oil and natural gas resources to be found in this formation, the development of which translates directly into even more investment in local communities here for generations to come.